97% of all the ATM frauds are done as card skimming. 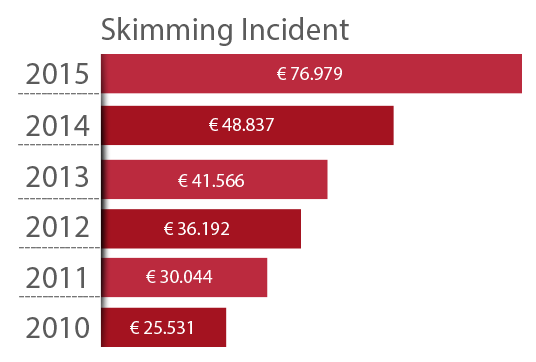 European ATM Security Team (EAST) reported that average cash loss per card fraud attack in Europe is more than 48.000 EUR. It was 25.500EUR in 2010 and steadily increasing every year. On the other hand, Bank Info Security claims that the average cash loss in US is around 50.000 USD. That was 30.000USD in 2010. It seems that, skimming is hurting banks and card holders more and more every year. After a slow down between 2008-2010, it is on the rise again. But this time, in a more globally organized manner. Figures in Europe shows that number of incidents tends to decrease since 2010. There are two reasons in behind. 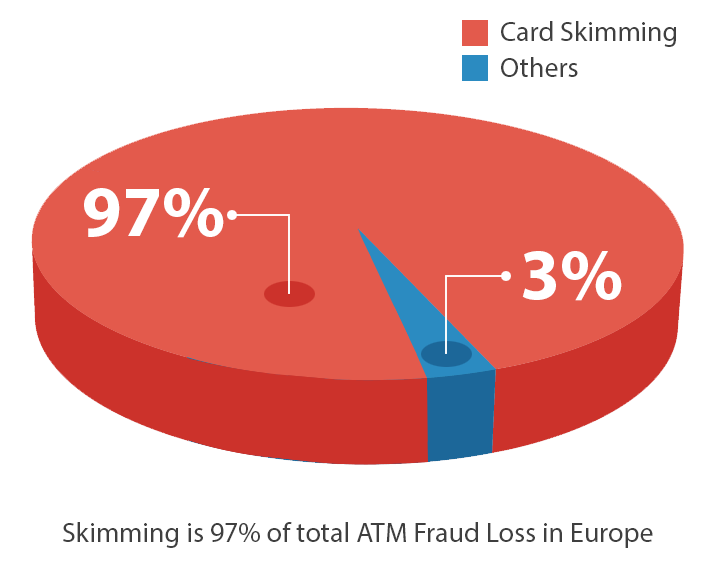 EMV migration is over 99% and anti-skimming solutions are widely used. However, reported cash losses have slightly increased after 2011. In 2014, the number of reported incidents in Europe was 5.631, whereas the cash losses exceeded 275 Million EUR. After migration to EMV in Europe, card skimming attacks are shifting to US, Latin America, Asia, ME & Africa. Since EMV is not applied in US and besides to ATMs, there are several different self service terminals such as gas pumps are in use, USA is much more suffering than ever. Thiland and Colombia cames after.